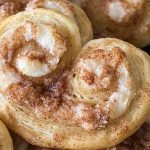 Cinnamon Cream Cheese Palmier Cookies, puff pastry, sweetened cream cheese, and cinnamon sugar baked to golden brown deliciousness! Palmier Cookies are a classic French cookie, they are light, airy and crunchy! 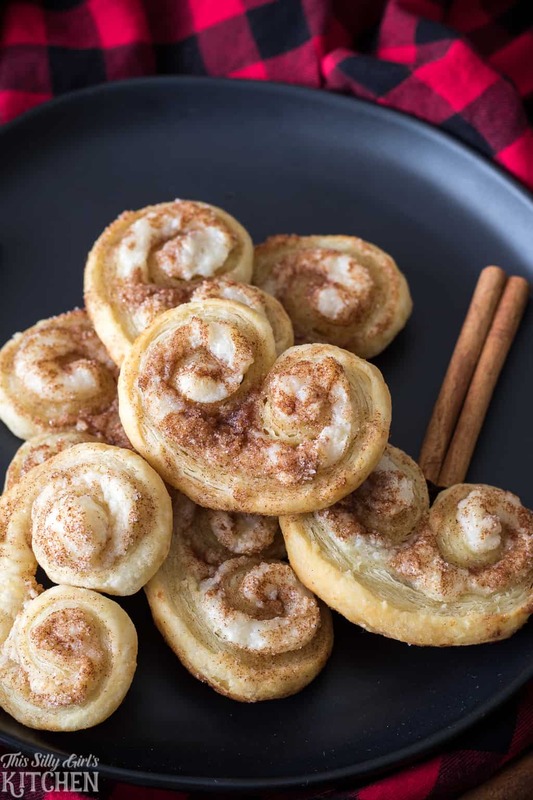 I did a twist on them by adding cream cheese and cinnamon sugar, wow! These are some of the easier cookies I have ever made. 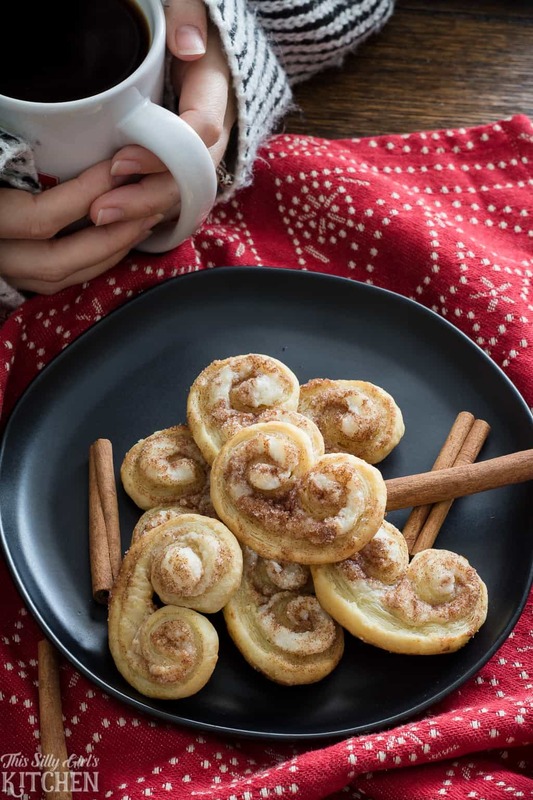 All you have to do is purchase store-bought puff pastry, slather it with cream cheese, sprinkle with some cinnamon sugar, roll them up, cut and bake! Plus, don’t they just look so pretty and elegant?! They look hard but believe me these Christmas cookies couldn’t get any easier! Yes, I consider them a Christmas cookie, for some reason cinnamon in general screams holiday to me. 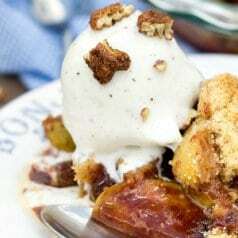 But, you could definitely make these all year round they are that good! They kind of remind me of a crunchy cinnamon roll, what’s not to love?! Let puff pastry thaw. Mix together cream cheese, butter, and powdered sugar. Evenly spread over pastry. 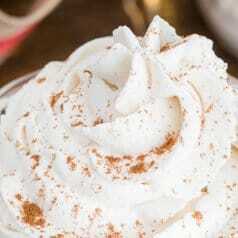 Mix together cinnamon and sugar, sprinkle over the cream cheese. Roll one side tightly until you reach the middle of the dough. Repeat on the other side so the two halves touch. Place in fridge for 15 minutes while the oven heats up. This will make cutting easier. 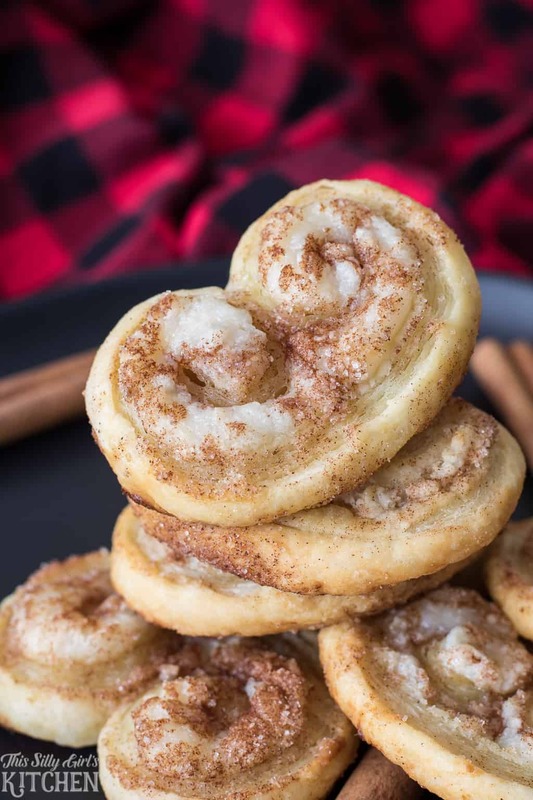 Cut 1/2 inch slices off of the roll, press into remaining cinnamon sugar, and place on a baking sheet about 3 inches apart. Bake for 12-14 minutes until slightly golden brown. Do not overbake, or the bottoms might burn. So delicate, crispy, light as air, and SO yummy! Some extra customizable ideas are adding extracts to the cream cheese mixture like vanilla or almond, very sparingly though! Also, press the cookies into more cinnamon sugar once they cool to the touch for even more of a kick! 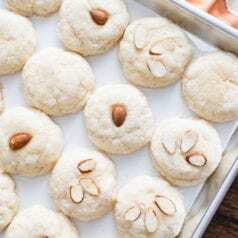 A bread knife makes cutting these cookies the easiest. Baking sheet to bake the cookies. Parchment paper to line the baking sheet. In a small bowl, mix together the cream cheese, powdered sugar, and butter. You can do this with a hand mixer, but I just use a fork to cut the cream cheese in and it will be smooth after stirring. Lay out the puff pastry, spread the cream cheese mixture over the entire sheet evenly. Mix together the granulated sugar and cinnamon. Sprinkle half of this over the cream cheese. On one end of the pastry sheet, start tightly rolling to form a log and stop when you get to the center of the sheet. Repeat on the other side, so the two rolls meet together in the middle. Cover, place in the fridge for 15 minutes to get nice and cold, making it easier to cut. While dough is chilling, preheat oven to 400 degrees. Line two baking sheets with parchment paper. Cut cookies into about 1/2 inch slices. If they end up unrolling a little, that's fine just roll them back up. Dip each side into the remaining cinnamon sugar mixture. Place on lined baking sheets about 3 inches apart. Bake for 12-14 minutes until slightly golden brown. Do not overbake, the bottoms might burn from the sugar. Place sheet trays on a wired rack for about 5 minutes to cool slightly. Transfer cookies directly on to a wired rack to cool completely. oh my goodness, yum! 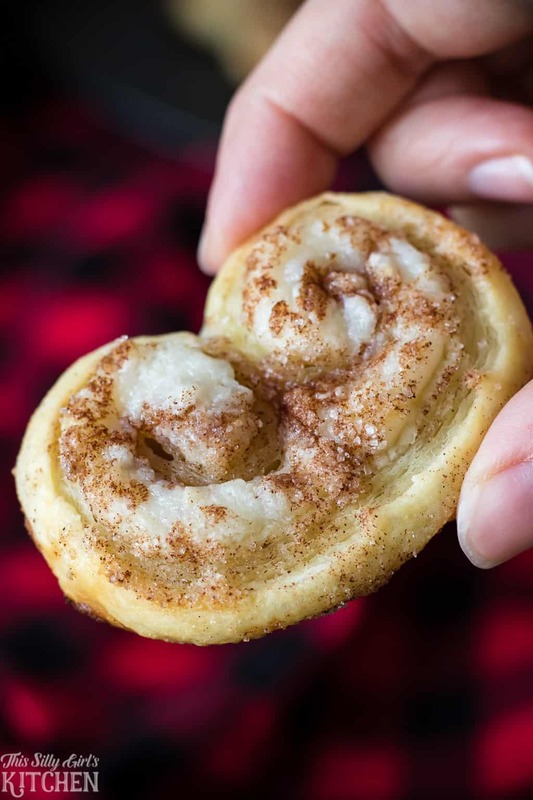 i love using puff pastry for cookies and these are delightful! I love this twist on a classic, perfect for holiday cookie exchanges! When you say one puff pastry sheet, do you mean all of the layers in the package? Or do you separate one of the layers and use that only? Frozen puff pastry from the store comes in two sheets, I use just one of those.